* My giveaway is still open. Don't miss the chance to enter. 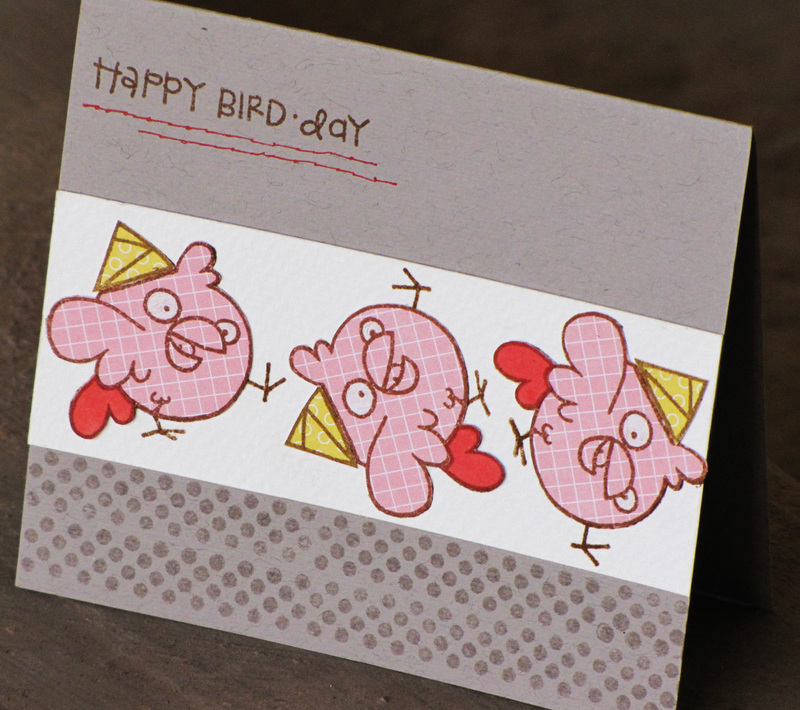 So I just got some more adorable Paper Smooches Stamp set and was playing around with the little cute fellas, one of which is this chick. So I picked up the inspiration from the current Paper Smooches Spark Challenge and made a little note card, which can be used as a gift tag. I was inspired by the fun color scheme and stitching. The dotted background was created using the dots from the Alphadot set stamped in versamark ink. I paper pieced the cute chick 3 times and arranged them to look like they are rolling with happiness :) A little faux stitching to finish of the sentiment. oh how cute is this!!! 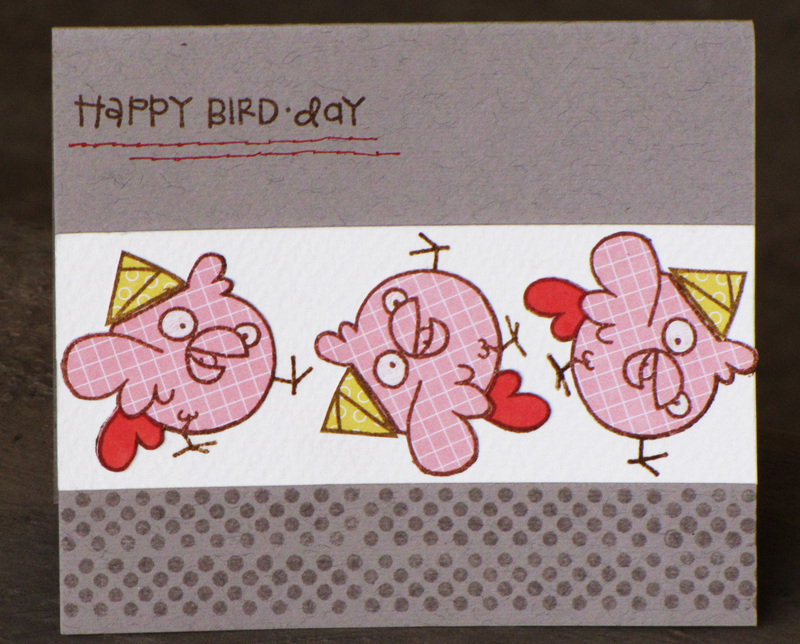 i love your paper piecing its so perfect...and those Lil chickes rolling about look so sweet... your faux stiching is just fab!!! i really thought you had done some actual stiching on it...till i read your post!! WOW!! 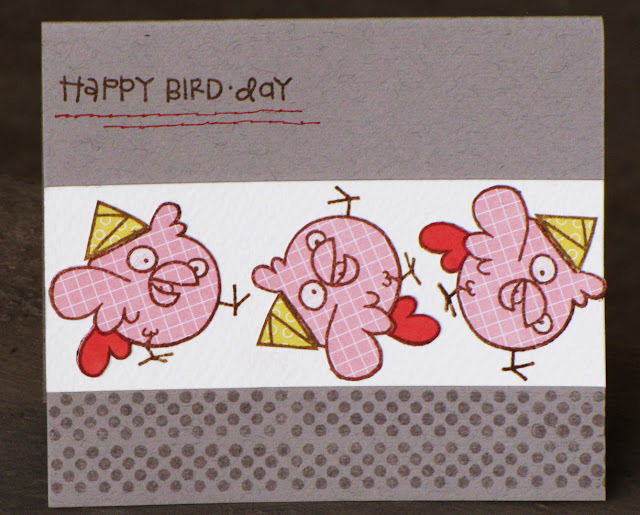 !Such a cute HAPPY card is this...Love you paper piecing UJJWAL!! !And I agree with Snehal,About the faux stitching looking actual. This is totally adorable! Love the rolling birdies!!! Oh wow what a cute card...love your rolling concept..also adding these stamps to my wishlist. thanks for introducing them !